What’s behind the Iranian regime’s recent wave of fight against corruption?  Iran, August 14, 2018 - On Sunday, dozens of people were arrested for financial crimes in Iran and Gholamhossein Mohseni Ejei, spokesperson of the Iranian judiciary, was fast in taking credit. “Sixty seven suspects have been arrested, some of whom were released on bail, and more than 100 people including government employees and officials, as well as private employees and others have been given travel bans,” Ejei said in his remarks broadcasted by state television. Khamenei’s statement came as a response to a proposal by the Islamic Republic’s Judiciary Sadegh Amoli Larijani to create new Islamic revolutionary courts that will impose maximum sentences on those “disrupting and corrupting the economy.” The Iranian regime’s Judiciary request further asks for the courts to be eligible to try all suspects, including “official and military” people. The punishments issued by these courts can include the capital penalty. The chorus of Friday prayer Imams in Iran followed by condemning corruption and asking for punishment. Last Friday in Qazvin, the Friday prayer Imam asked who has imported thousands of illegal cars and why no one would remove these traitors? Historically, in the face of corruption and economic downfall, the Iranian regime has pointed the finger of accusation toward foreign powers, small time merchants, and most outrageously the Iranian people’s “bad culture of greed”. But it seems that it doesn’t work this time. A few weeks ago, US State secretary Mike Pompeo gave a speech to the Iranian-American community at the Reagan Library. Among other things he particularly named and shamed some of the prominent examples of the ongoing corruption in the Iranian regime. His sample list of prominent Iranian corrupt officials includes former IRGC officer and Minister of Interior Sadeq Mahsouli, Grand Ayatollah Makaram Shirazi, Ayatollah Khamenei with an off-the-books hedge fund called the Setad worth a staggering $95 billion, and Iran’s head of Judiciary Sadeq Larijani worth at least $300 million. Sadeq Larijani is the same person who asked Ali Khamenei for permission to create those courts to fight corruption. As a joint article by The Telegraph’s Josie Ensor and Ahmed Vahdat correctly report, this time Iranians blame Khamenei, not Trump, for the economic disaster. There are a few important reasons that lead to this widespread awakening among Iranians despite contrary ubiquitous state-run propaganda. A majority of Iran’s population are young and educated and access to the internet and satellite TV channels is the norm, although satellite receivers are illegal, and many websites are blocked. The Aghazadehs, contrary to the previous generation of the Iranian regime, act nouveau riche and upstart. There is not a day where pretentious pictures of their exploits and wealth don’t make the rounds on Iranian social media. Luxury cars and villas and lavish parties are harsh contrasts to the plights of ordinary Iranians. Many children of the elite live and study abroad. In such circumstances, preaches of Islamic resistance and austerity and death to America don’t have the intended effect. During the previous presidential elections, Iran’s so-called moderate president, Hassan Rouhani, promised economic prosperity, a stable currency, fight against corruption, better relations with the international community and more. But Rouhani hasn’t kept a single one of his promises. Jokes about how the moderates are not different than the conservatives are becoming popular. The famous JCPOA signed on 2015 had no tangible economic benefits for the ordinary Iranian. That’s why Iranians don’t blame Trump and sanctions for the freefall of rial, Iran’s currency. As history tells us, there is always a reckoning after awakening. Let’s see how the mullahs cope with the very religious fundamentals they’ve built their corrupt empire on.